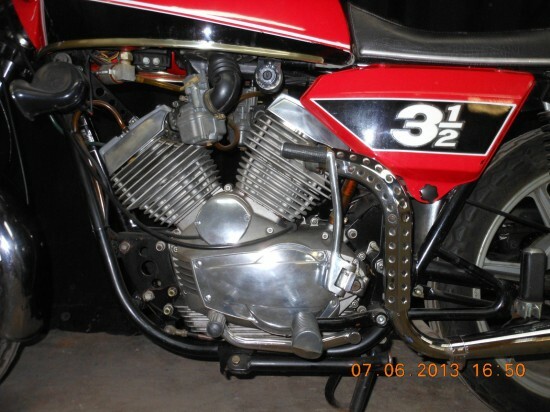 If the “3½” on the side panels of this little Moto Morini confuse you, just be glad you don’t have to mess around with having to type that out for this article. Why they didn’t just call it a “350”, I don’t know but, while they have increased in value over the last few years, they’re still very affordable. If you can find one to buy. Speaking of: you know, I really do wish that folks looking for us to spend $6,000 on a motorcycle we haven’t had the chance to visually inspect would at least roll the bike out into the daylight so we can have some pictures where those clunky safety reflectors don’t glow like Ralph Nader’s eyes, always watching, watching… Luckily, I’m a big fan of these little 344cc motorcycles that, while not so famous for outright power, were well-endowed in the handling department and are said to be able to embarrass much larger and more modern machines when ridden correctly. 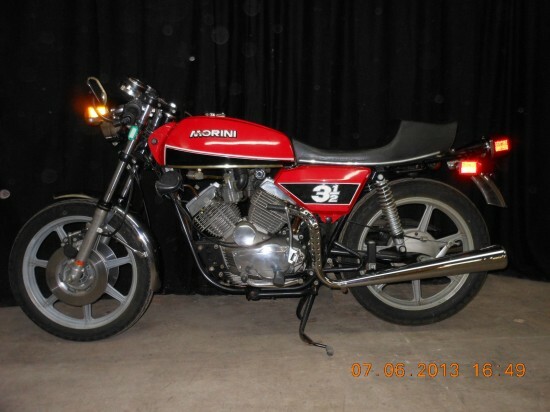 This is a beautiful Moto Morini 3 1/2 sport. Been in a museum for approximately the last 10 years. 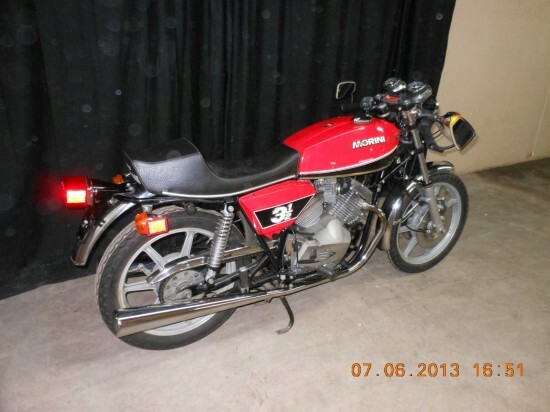 Will need a battery and the carbs cleaned. That’s it. That’s all we have to go on. 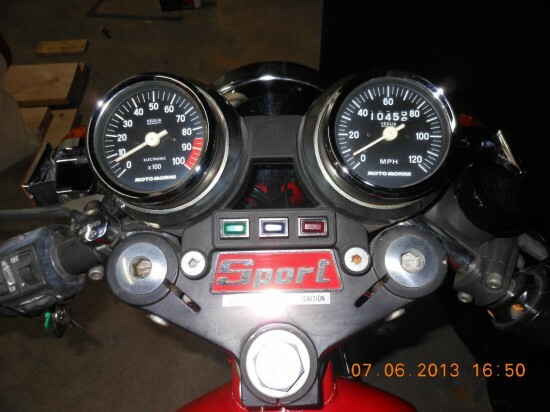 No worries: I’ll fill you in on some of the features of these innovative little bikes. Like the unusual 72º configuration that provides something approaching the perfect primary balance of a 90º twin but with far more compact dimensions, the relatively rare-for-the time six-speed gearbox, interchangeable heads front and rear, both kick and electric start. Although really that’s one and a half features, since the electric leg is unlikely to work very often… And Heron-style heads, for ease of manufacture and excellent fuel economy. 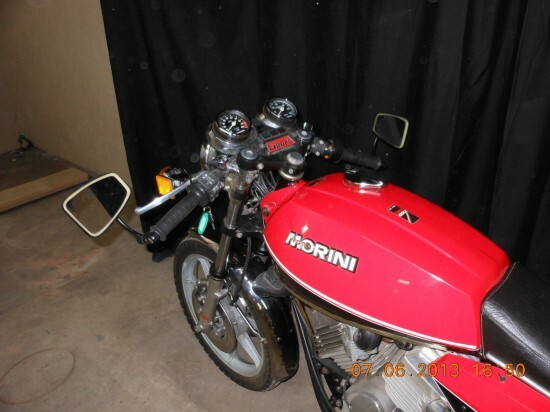 So while you may have to buy most of your spare parts online, and finding a mechanic to work on your little pride-and-joy might be difficult, these little Moto Morinis provide a ton of bang for your buck combined with very interesting technical specification, and I’d love to have room for one in my garage. Lots of time on this auction, so take a look!